A new report from across the pond points to a large gap in awareness when it comes to cyber risk and the use of insurance among business leaders of some of the UK’s largest firms. Half of the leaders of these organizations do not realize that cyber risks can be insured despite the escalating threat, the report found. Business leaders who are aware of insurance solutions for cyber tend to overestimate the extent to which they are covered. In a recent survey, some 52 percent of CEOs of large organizations believe that they have cover, whereas in fact less than 10 percent does. Actual penetration of standalone cyber insurance among UK large firms is only 2 percent and this drops to nearly zero for smaller companies, according to the report. Senior managers in some of the UK’s largest firms were interviewed for the report published jointly by the British government and Marsh, with expert input from 13 London market insurers. As a first step to raising awareness, Lloyd’s, the Association of British Insurers (ABI) and the UK government have agreed to develop a guide to cyber insurance that will be hosted on their websites. Reuters has more on the report here. I wrote about autonomous vehicles and insurance for the March/April edition of Contingencies magazine. 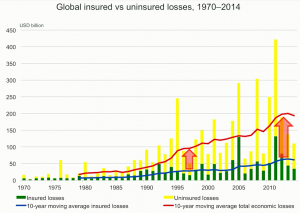 I argue that while the safety improvements will reduce the number of automobile accidents, any predictions of the end of automobile insurance look overblown today. The first cars to drive themselves will only do so for a few minutes at a time — far from the curbside-to-curbside Dream Vehicle that gets most of the media attention. Any new auto technology takes two or three decades to cascade from a pricey option on luxury vehicles to standard equipment found on every used Chevy. The slow rollout means claim frequency — the number of claims per hundred vehicles — is likely to decline over the next few decades at about the same rate as it has over the past five decades, giving insurers plenty of time to adapt, just as they have since the first policy was issued in Dayton, Ohio, in the 1890s. The property/casualty industry will react as it has for decades, as regulation and innovation have made auto, products and the workplace safer. The impact will be carefully measured by actuaries, who will adjust rates as the innovations prove out. Insurers will find new coverages that customers will want. The I.I.I. has an Issues Update on Self-Driving Cars and Insurance. Tomorrow is Pi Day, and a very special one writes I.I.I. chief actuary Jim Lynch. For one second the date and time will represent pi’s first 10 digits (3/14/15 9:26:53), a moment both trivial and mnemonic. Pi is an important number in insurance, as any actuary who has reflected on the matter will tell you. If I may be a bit hyperbolic, the mathematical foundation of insurance balances upon the number pi. Pi is famously irrational, its digital expression neither ending nor repeating, but it is not the only irrational number in the normal equation. There’s the square root of 2 (1.414213562 . . .). There’s also the number e (2.71828 . . .), which you might remember if you studied logarithms in precalculus, but probably not. 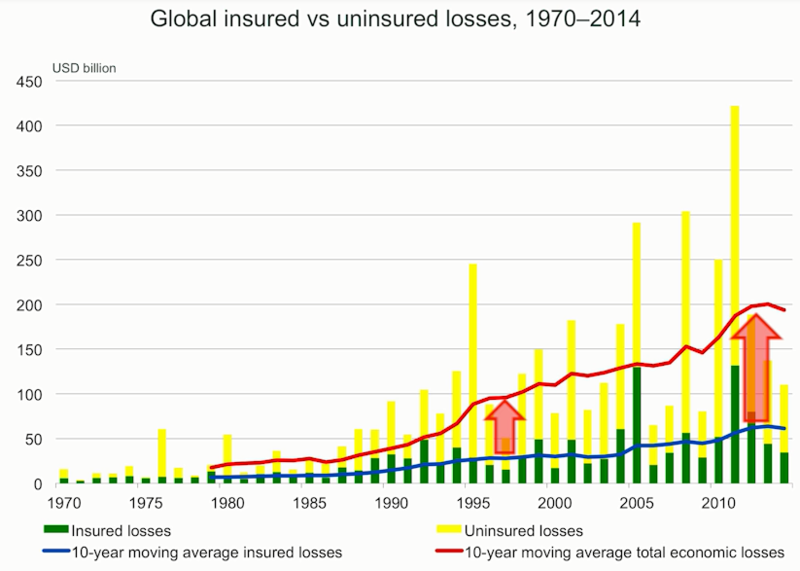 So irrational numbers play an important role in insurance as elsewhere. Some, like pi, help us understand the world better. Others, like the irrationally small percentage of homeowners who purchase flood insurance, are less honorable, and the I.I.I. notes them in this infographic. Cyber attacks against businesses may dominate the news headlines, but recent events point to the growing number and range of cyber threats facing public entities and government agencies. City officials yesterday confirmed that city and county computer systems in Madison, Wisconsin were being targeted by cyber attackers in retaliation for the shooting death of Tony Robinson, an unarmed biracial man, by a Madison police officer last Friday. A Reuters report says the cyber attack is thought to have been initiated by hacker group Anonymous. Then on Sunday the website of Colonial Williamsburg was hit in a cyber attack attributed to ISIS. The attack targeted the history.org website and comes just a week after the living history museum offered to house artifacts at risk of destruction in Iraq. Meanwhile, Florida’s top law enforcement agency is reported to be investigating testing delays in public school districts caused by cyber attacks on the Florida Standards Assessment (FSA) testing system. And a recent cyber attack at multiple New York City agencies including the office of the NYC mayor recently took down computer systems for most of a day. Given the large amounts of confidential data held by public entities and government agencies, it’s not surprising that they are a target for cyber attacks. Last year data breaches in the government/military sector accounted for 11.7 percent of U.S. breach incidents, according to the Identity Theft Resource Center (ITRC). A GAO report here points to the cyber security risk to Federal agencies and critical infrastructure. In a viewpoint at American City & County blog, Robin Leal, underwriting director at Travelers Public Sector Services recently warned of the growing cyber risks facing public sector organizations. Leal cited data from a survey at the 2014 Public Risk Management Conference and 2014 National Association of Counties (NACo) conference showing that public officials’ confidence in their cyber protections is alarmingly low. Only 13 percent of respondents to the survey were “very confident” that their public entity has adequate protection against cyber threats. As well as written policies and procedures to handle cyber threats, Leal said public entities should consider cyber insurance. Only 10 percent of current public sector clients add cyber protections to existing insurance policies, and for the majority of new business submissions cyber insurance is not part of their current coverage, Leal noted. Check out the I.I.I. white paper Cyber Risks: The Growing Threat.